In order to express a motif meaningfully with just a few strokes, you need great talent. With this, the artists, whose work are comprised in a forthcoming auction, are blessed in excess. For many years, the founder of the auction house Grisebach, Bernd Schultz, has compiled a collection of drawings by famous artists which is second to none. It includes the most famous names in art history, such as Picasso, Schiele, Kollwitz, Giacometti, Rembrandt and Rodin. In favour of the founding of an Exile Museum in Berlin, which is to be dedicated to the fate of the emigrants between 1933 and 1945 and a matter close to his heart, Bernd Schultz is now auctioning off his collection – presumably with a crying and a laughing eye – in an auction titled ‘Farewell & New Beginning’ at Grisebach. The auction includes around 350 drawings from five centuries. One of the older works is, Étude de jeune homme assis, la jambe droite et la main levées by the French founder of rococo painting Antoine Watteau. 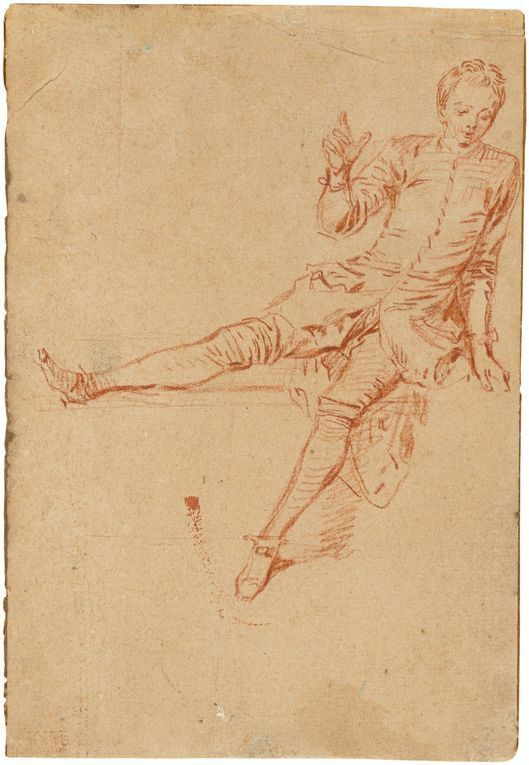 The depicted young man wears the costume of a harlequin, a disguise that is repeated in Watteau's oeuvre. 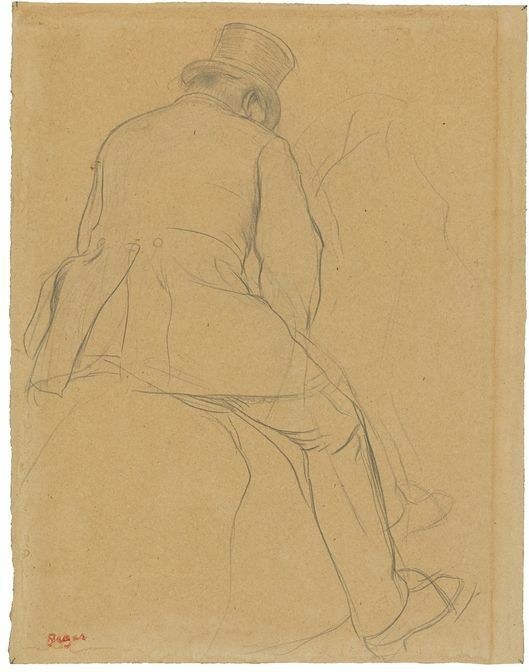 This drawing of a rider served Edgar Degas as a study of his only painting with a hunting motif, Le Départ pour la chasse, which he began in 1866 and completed in 1873. It was only finished after a trip to England, during which he was able to observe the famous hunts of the local nobility with his own eyes. 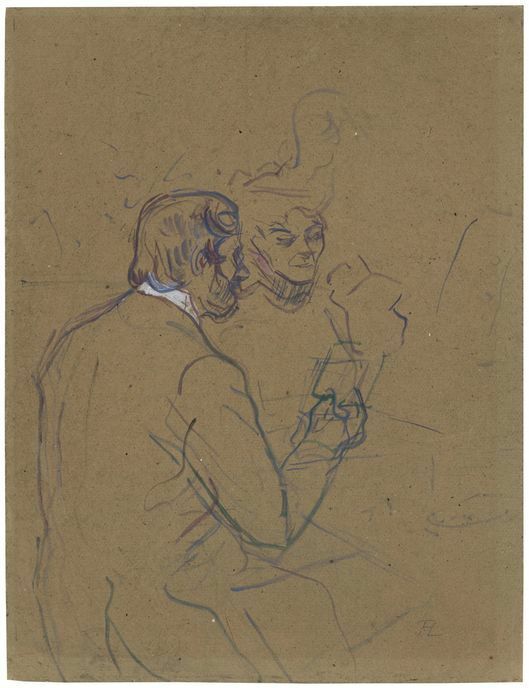 Like no other artist of his time, Henri Toulouse-Lautrec managed to truly document the hustle and bustle in the cafés, restaurants and cabarets of late 19th-century Paris in his works. In the present drawing, he has captured a slightly resigned older couple who have been dining in the Chez Larue restaurant. As the husband attentively studies the bill, his wife's gaze goes nowhere. Scenes of a marriage? The year 1904 is marked by changes in Pablo Picasso. From an artistic and historical point of view, he gradually made the change from his blue to his pink period, and on a personal level replaced his friend Madeleine, who had also served him as a model, with Fernande Olivier, who became his first great love and in the seven years together, numerous works emerged. 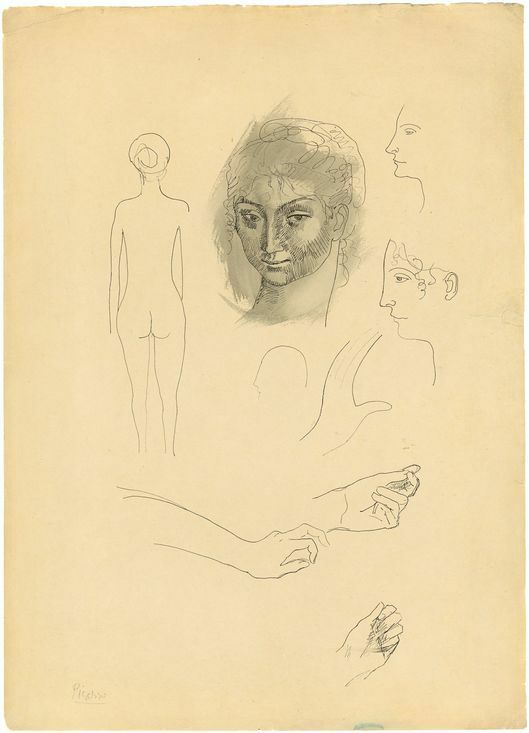 It is unclear on this sheet of drawing studies whether Madeleine or Fernande, or perhaps even both, are depicted. 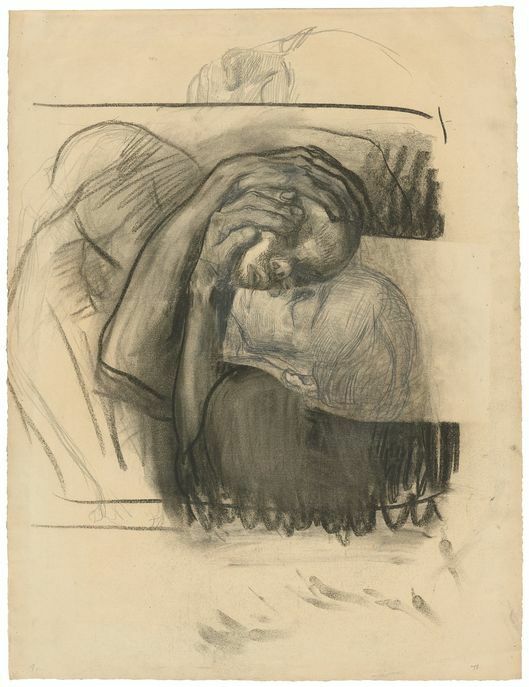 Has anybody ever put the relationship between mother and child on paper more sensitively than Käthe Kollwitz? Presumably not, and the present work, Farewell, of 1910 underlines this thesis in the most excellent way. The artist and pacifist Kollwitz has produced protective, oversized hands of a mother around her lifeless child. The personal experience of saying farewell to her own child was still in the hands of Käthe Kollwitz: in 1914, her only son, 18-year-old Peter, died in World War I. 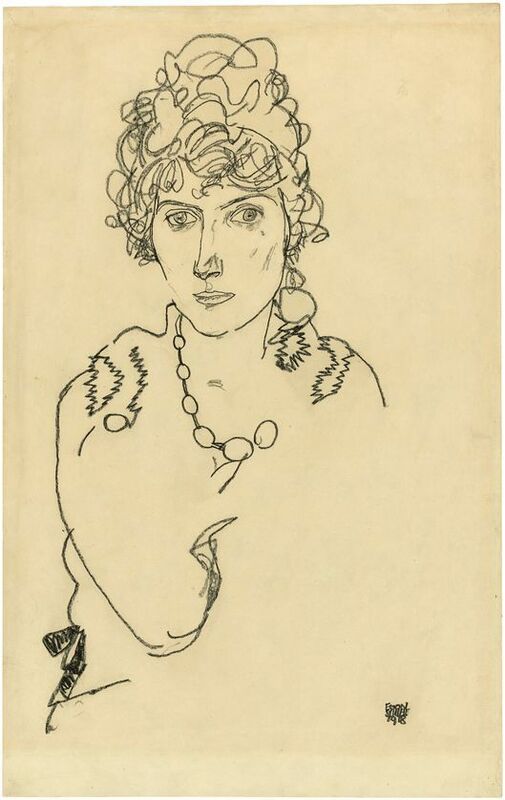 The portrait of his wife Edith from 1918, executed by Egon Schiele, is also a farewell. In that year, both died at the end of October at intervals of just a few days from the Spanish flu. Edith was pregnant at the time. Egon expresses his talent, above all, by the unique elegance of the lines in his drawings. 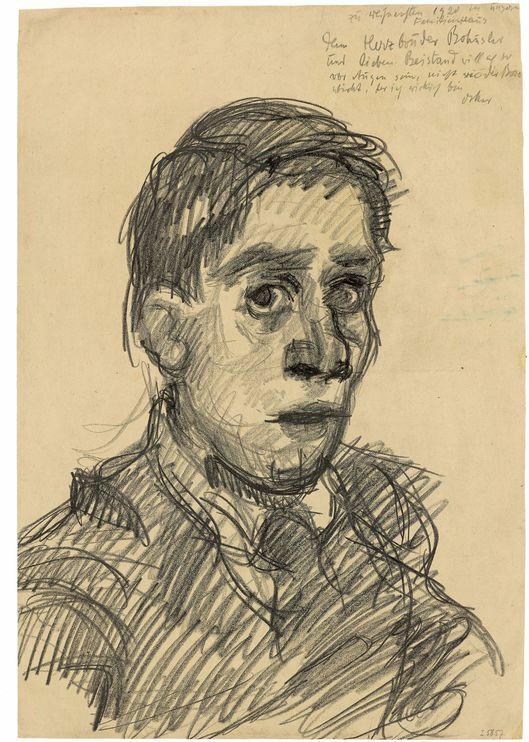 From Oskar Kokoschka comes a large-format self-portrait with a personal dedication, which he made at Christmas in 1920 by himself. The dedication reads: “At the Christmas of 1920 in our family home, I wanted to be recognised like this by my dearest brother and loving support Brohuslav, and not as the villain that I actually am. Oskar.” It seems as if there was a quarrel with the family during Christmas – a situation that everyone can understand, bringing us closer to the picture. 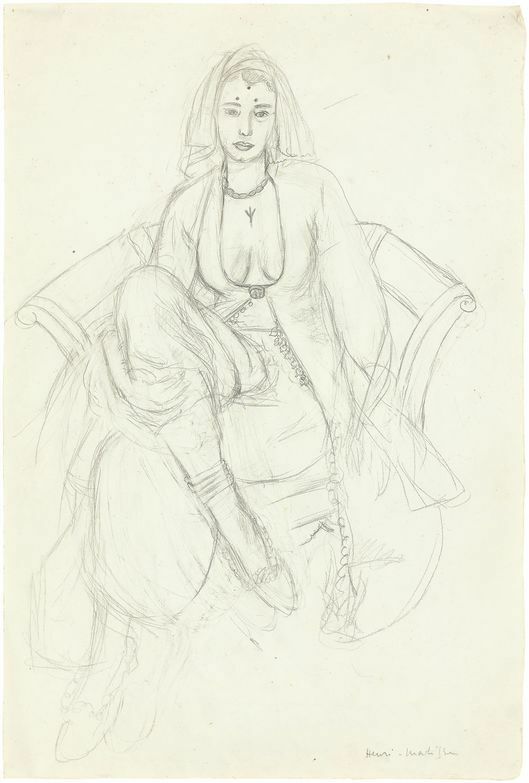 Orientalism, which inspired many artists from the 19th century, was not able to avoid Henri Matisse, one of the founders of modern painting, and in the 1920s he devoted himself to representations of oriental beauties. For the French models that served this purpose, he put on appropriate costumes. However, Matisse had also previously been able to acquire a certain ‘feeling’ for the subject when travelling to Algeria in 1906 and Morocco in 1912. 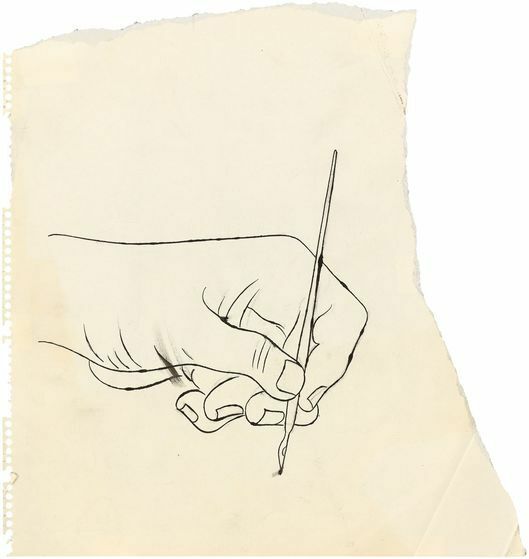 As the last picture, whose motive is the quintessence of the auction so to speak, we introduce you to Hand, which Andy Warhol put on paper in 1953. Creating an unconventional work on a page torn away from a block, Warhol has succeeded in capturing the immediate moment between idea and execution, allowing the viewer to participate in the work at this early stage of his career. The Bernd Schultz Collection - ‘Farewell and New Beginning’ will be auctioned in three sections on October 25 and 26 at the auction house in Grisebach. Two more auctions on both days showcase 19th-century art and photography.